Join us on the 25th January for Burns Night. There is a long tradition of ‘Burns Suppers’ in Scotland, to celebrate Scotland’s National poet Robert Burns. Traditionally Burns Night (Burns Supper) began after the poet’s death at a young age of 37. The evening will begin with a welcome speech, then the entrance of the Haggis, that will be addressed by Mr Ken Gow, from Aberdeen. The Haggis will be piped in by the one and only Spud the Piper. 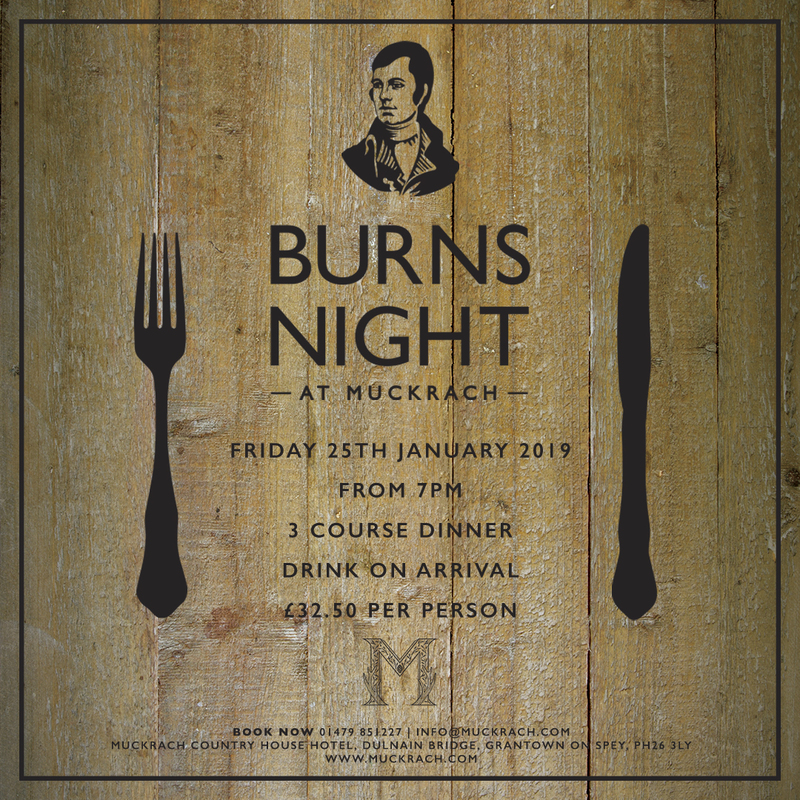 From 7pm we will be celebrating Burns Night at Muckrach. Enjoy a delicious 3 course dinner and drink upon arrival for £32.50 per person. If you’d like to join us for this special celebration.